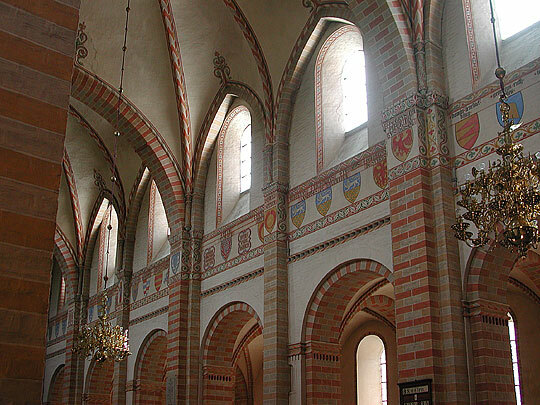 A Romanesque building of 1165-85 by Absalon, the great medieval statesman and archbishop. 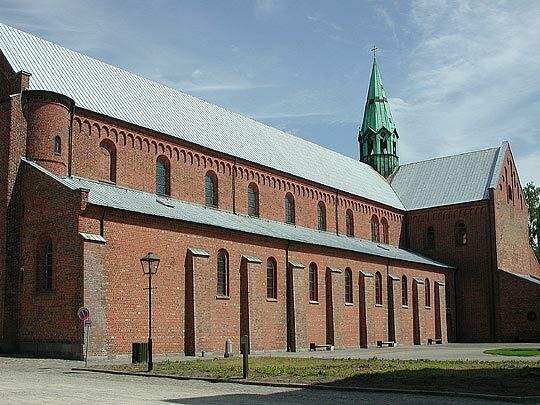 Along with St. Bendts church in Ringsted it is the first Danish church built of brick. The new brick-making technique was introduced about 1160 by Italian builders. 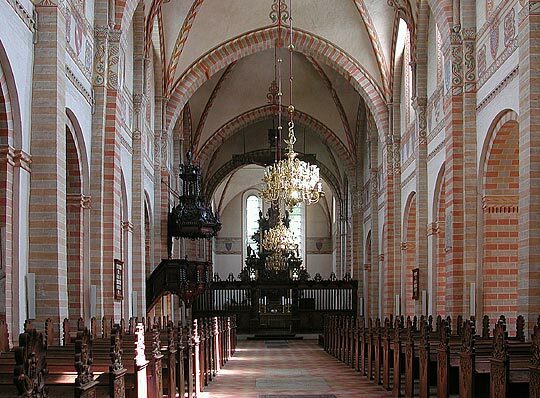 The church is cruciform with nave and aisles and is the third longest in Denmark (after Roskilde and Århus cathedrals). 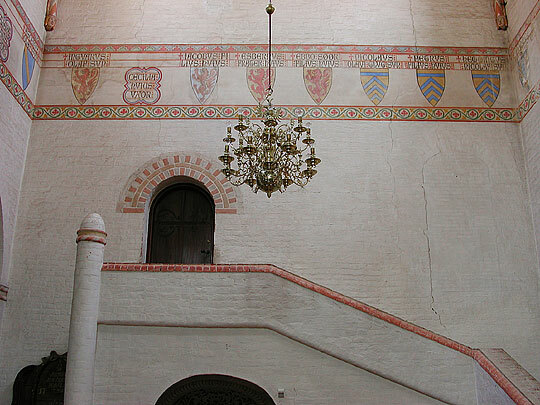 A round-arched frieze below the eaves and blind arcade on the gables. The spire dates from 1625. 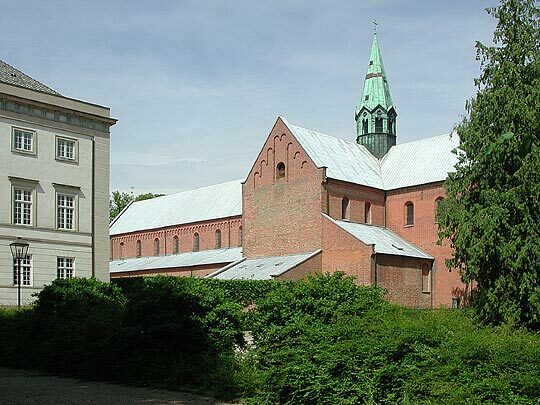 Originally a monastery, the cloisters have gone long ago; in their place stands the main building of Sorø Academy (in picture on right and below). The nave looking east and west. 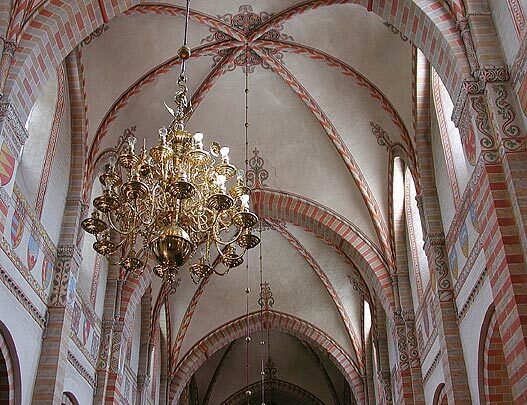 The Gothic vault in the nave was added after a fire in 1247 destroyed the wooden roof. A frieze of painted shields and names of benefactors encircles the church. 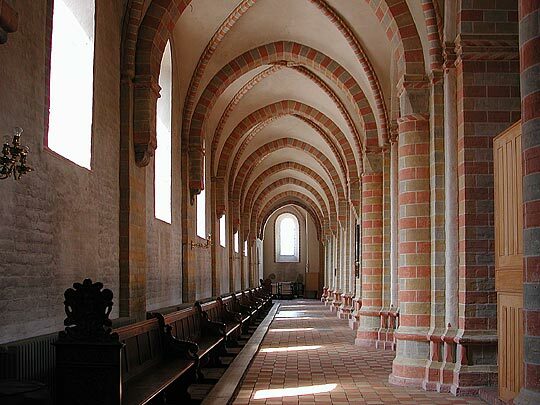 The aisles, south and north. 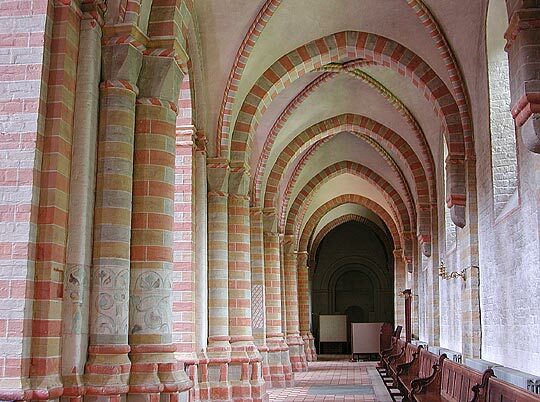 Transition between the round Romanesque vault and the pointed Gothic vault. In the south transept a stair to the cloisters which no longer exist. 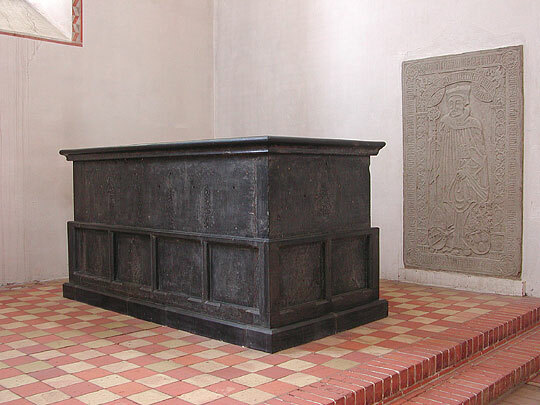 Absalons grave of 1201 behind the altar is covered by a Renaissance stone carved by Morten Bussert in 1537. 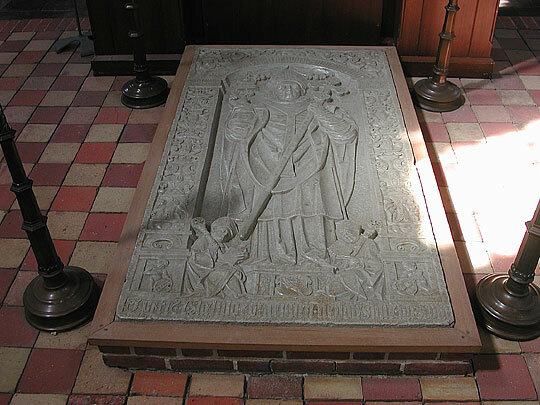 King Valdemar Atterdags marble sarcophagus at the east end of the chancel behind the altar. 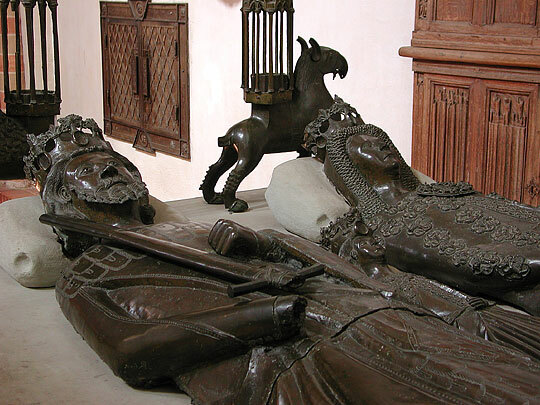 He died 1375. 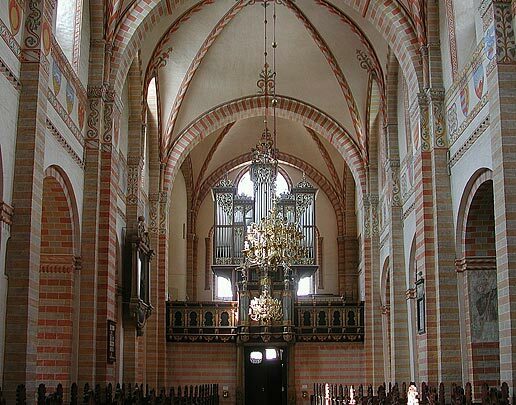 In the same place his father Christoffer 2. (died 1332) and Queen Eufemia with daughter Hedvig. Bronze memorial. 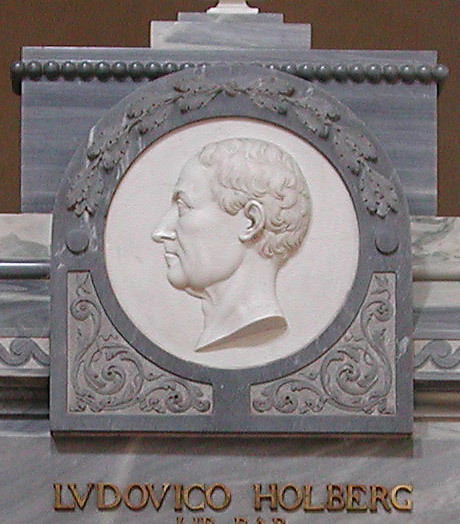 In a chapel in the north transept lies Ludvig Holberg, Danish poet and dramatist who died 1754. 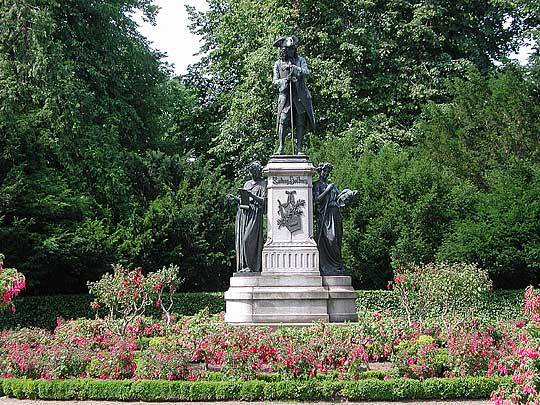 The sarcophagus was made by the sculptor Johannes Wiedewelt in 1780. 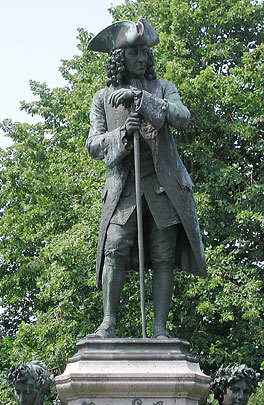 There is also a fine monument to Holberg in the park of Sorø Academy. He gave his fortune to re-establish the Academy in 1750. Sorø Academy's main building showing the facade facing the lake. 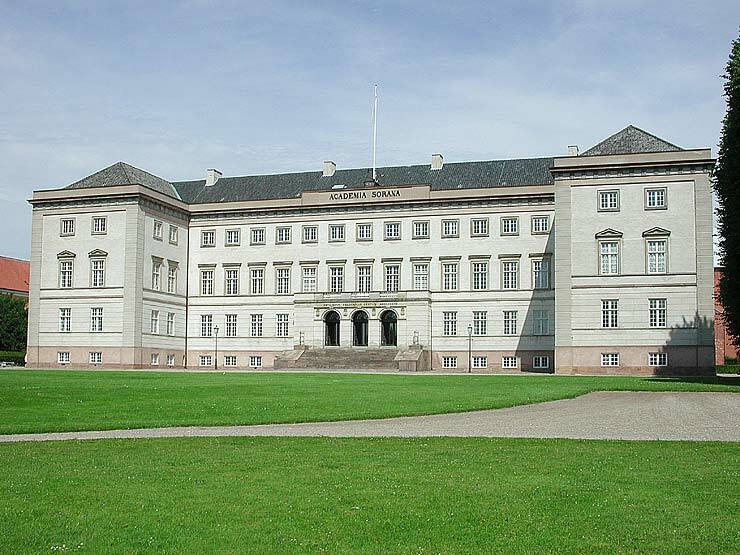 Founded 1586 by Frederik II, refounded 1750 by Holberg, and again for the third time in 1813. The present classical building dates from 1826. B.S. Ingemann's house at the east end of the Academy building above, where he was lecturer. 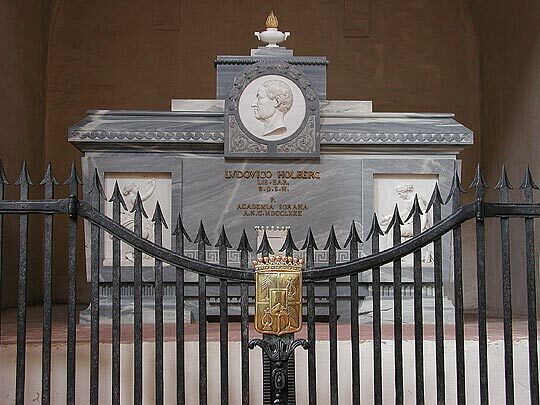 Here the famous Danish poet and historical writer lived quietly most of his adult life, in contrast to his frequent guest Hans Christian Andersen who was always on the move. 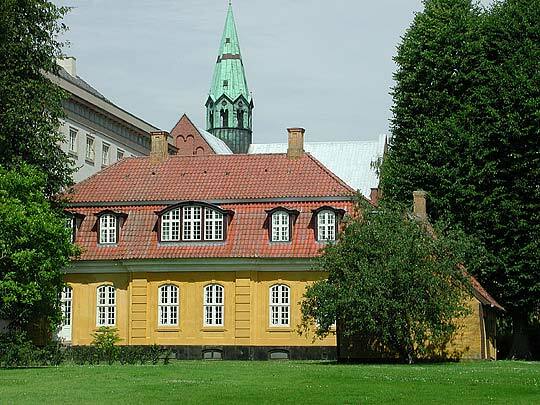 There is an identical house on the opposite side of the Academy known as Molbech's house. Both date from the mid-18th century. 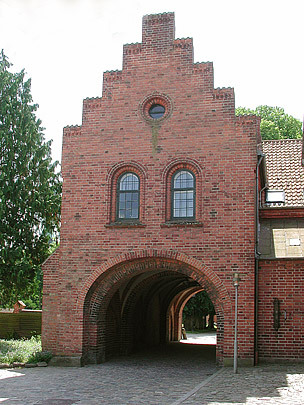 The medieval monastery gate. 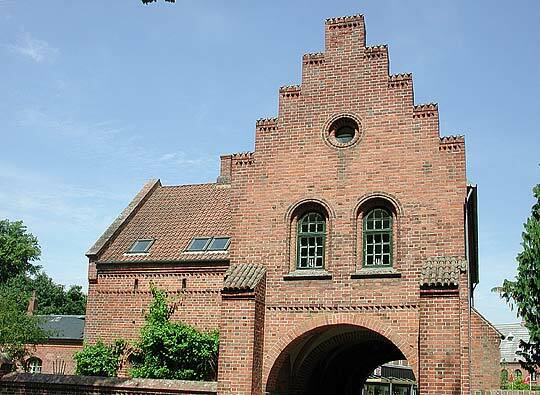 One of the oldest inhabited houses in Denmark.